Yes, you can rent a Metrobus! 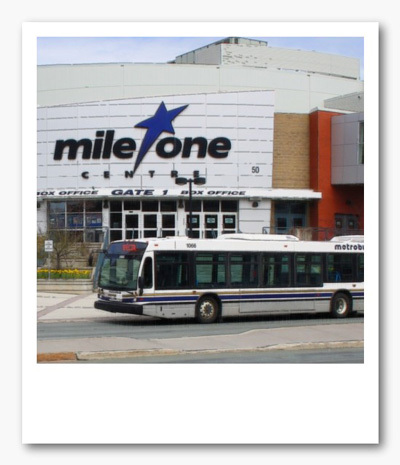 In business since 1958, Metrobus is an experienced charter service provider. A charter is the ideal way for groups to enjoy local waves n' whales, birds n' bays, rugged scenic beauty, clear skies and fresh air. 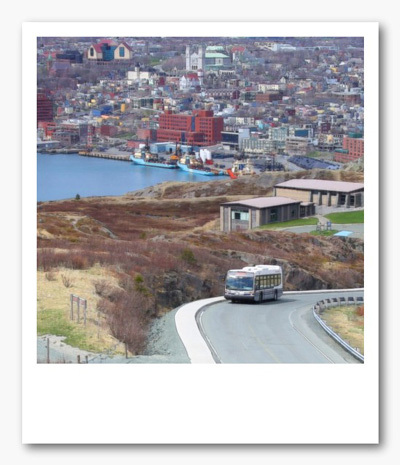 Historic St. John's, the 'City of Legends', and beautiful surrounding areas, is a captivating backdrop for tours, convention groups, parties, graduations, weddings and other special events. Metrobus provides superior transportation shuttle service, air and sea transfers, and sightseeing tours. 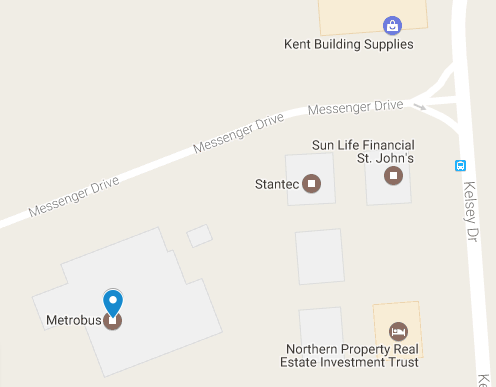 With a fleet of more than 50 buses, Metrobus is the largest public transit system in Newfoundland and Labrador. All charters include coordination, a professional driver, extra large window space, and a P.A. system. Reservations can be taken up to 24 hours before an event depending on the charter requirements and the availability of coaches. 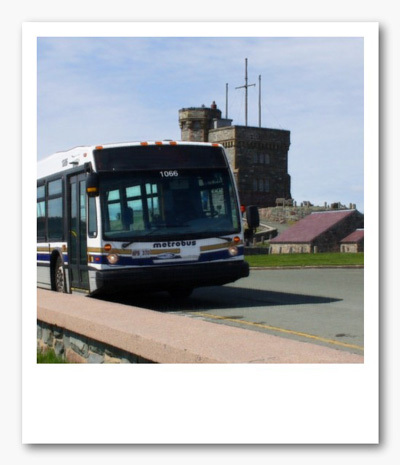 As you enjoy North America's oldest European settlement, let Metrobus take care of all your transportation requirements. *Charter service is not available between the hours of 2:00 AM and 5:00 AM. Regulations under the Highway Traffic Act prohibit alcohol from being brought on board.